Before we get started, let us point out that every home theater is unique. If you have specific questions about your setup, we strongly recommend running them by one of our highly knowledgeable Projector Experts. Call us at 1-888-248-0675. That said, we've covered the basics and more in our Home Theater Projector Buyer's Guide. For the latest updates in home theater technology, sign up for our newsletter or check out our projector blog. How bright should my projector be? How much do I need to know about image quality? What is native aspect ratio? What about 3D home theater projectors? What do I need to know about lamp life? Should I install my projector or set it on a tabletop? Projector brightness is measured in ANSI lumens*. 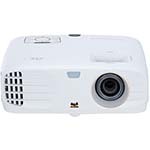 Home theater projectors generally start out at about 1000 lumens and range upwards to 2500 lumens and more. Your viewing environment is the deciding factor on how many lumens your projector needs. Dedicated home theaters (rooms with controlled lighting and no ambient light) will not require as much brightness as a space with ambient light from windows or other household lighting. Dedicated home theaters need 1000 lumens or brighter. Rooms with some ambient light should have at least 1500 lumens. Spaces with high ambient light need about 3000 lumens. Check out the video below to see a 1600, 2000 and 2500-lumen projector in a side-by-side comparison. Tip: In many cases, manufacturers rate projector lumen values based on data output, not video. Lumen output for video is typically not as high as data. 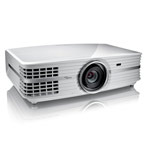 For help determining which projector is right for your viewing environment, contact one of our Projector Experts. They have personally seen most units perform in video mode. *Get geeky! A lumen is equivalent to the amount of light a birthday cake candle puts out in a square foot-sized area. Now you know! The three most important factors affecting image quality are native resolution, your source material, and the projector's contrast ratio. Currently, HD (1920 x 1080) and 4K UHD (3840 x 2160) & (4096 x 2160) are the most common home theater projector resolutions. An HD (1920 x 1080) projector has about twice the number of pixels of a Wide XGA projector, and a 4K projector has at least twice the resolution of an HD projector. More pixels mean a sharper looking image and better compatibility with high-definition sources. What you are watching will make a big difference in the quality of your image. A low-quality signal fed to your projector will most likely look like a low-quality image when projected. This is even more noticeable on a larger screen. For best results, you should try to match the projector with the native resolution of your source material. Your Blu-ray player, PlayStation 4 and Xbox One typically produce a 1080p signal, though newer models are capable of sending 4K / HDR. HDR formats are still not totally standardized at this time, so your mileage may vary depending on which players and projectors you choose. So what does that mean for your projector purchase? Both 4K UHD and regular HD (1920 x 1080) projectors are designed to deliver all the rich details carried in an HDMI signal. That said, the difference in clarity and sharpness between the two becomes most evident when viewing very large images, or when sitting closer to the screen. The final factor to consider is a projector's contrast ratio. Contrast ratio literally refers to the difference between the blackest black and the whitest white in an image. A projector with a contrast ratio of 10,000:1 isn't necessarily five times better than one with a 2,000:1 ratio. The contrast ratio does not account for how the projector displays all the shades of grey in between the blackest black and whitest white. If the projector can't display those shades of gray, portions of the image will "blow-out" and appear pixilated when displayed on the big screen. 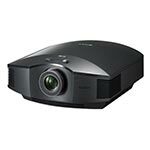 Look for projectors with more control settings. 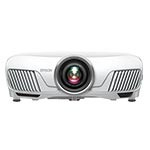 Multi-color processing technology like BrilliantColor and sRGB modes will allow you to really tweak the projector's display to your liking. Another important thing to note is that some manufacturers are much more conservative with their contrast and lumen specs than others. While you might be tempted to choose the projector with a 1,000,000:1 contrast ratio over another with a 100,000:1 contrast ratio, the visible difference in person may be quite negligible. Our projector experts have seen many of the projectors we sell demoed at our office...if you have any questions, we encourage you to reach out for assistance. We're here to help! Because projectors are a fixed resolution display device, they have what is called a native aspect ratio. 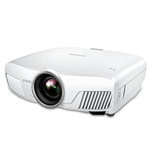 The most common aspect ratios for projectors are 4:3, 16:10 and 16:9. That means that the chip inside the projector is shaped in the specified 4:3, 16:10 or 16:9 proportions. Think of the chip as a miniature version of the image you will see on your screen. A 16:9 native aspect ratio is designed primarily for home theater use. This is because widescreen DVD, Blu-ray and HDTV signals are broadcast or encoded in the 16:9 format. Home theater enthusiasts tend to prefer 16:9 aspect ratios because they are closer to original 35mm film format. 4:3 projectors can also display widescreen images, however there will be letterboxing, (little black bars that appear on the top and bottom of your image). Quick Tip: The 16:9 mode on your projector should be used exclusively with anamorphic DVDs. Set your DVD player to output to a 16:9 television and the projector to 16:9 mode to achieve the desired results. 3D movies came back in a big way in the late 2000s, with James Cameron's Avatar leading the charge - wowing movie goers with its amazing immersion factor. Since then, 3D movies have been a staple at the movie theaters, and more recently, in the home. Today, they have become a fairly common feature in most mid-range and higher home theater projectors. 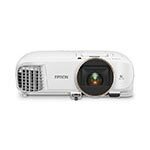 You can learn more about 3D projectors here. 3D projection may not be as big a deal today, but nearly all home theater manufacturers have 3D models. Many cable providers even offer 3D channels and programs. LCD and DLP projectors typically have a lamp life between 2000-4000 hours. This specification is actually referring to the 'half-life' of the lamp, the point where the lamp is half as bright as it was new. The lamp will still work at its half-life, but it will continue to gradually lose brightness. Longer lamp life means less expense in maintaining your projector. If you are planning to use your projector to replace your current television, lamp replacement cost should be factored into your purchase. Replacement lamps run approximately $200-$400. If your projector will be used primarily for watching movies and special events, lamp life won't be as important. Lamps typically last between 2000-4000 hours. The average projector used for movies and special events runs 8 hours a week. At this rate, the lamp will last approximately 4.8 years. Quick Tip: If you purchase a spare lamp with your projector, run it in your projector for a few hours first, then store it somewhere cool and dark. Lamp warranties begin from the day of purchase, not from the day of use. If a lamp is faulty, it will usually fail within the first 4 to 10 hours of operation. One choice you should make early on in your purchasing decision process is whether you want to ceiling mount your projector or simply put it on a tabletop when in use. Each option has its advantages. Ceiling mounting your projector will get it out of the way, creating a more polished look for your viewing area while also keeping your projector secure. Mounting the projector in a fixed area will also save you the time of setting up your projector for each use. If you plan to ceiling mount your projector, you will need to know the fixed distance between the projector and your screen. This is because different projectors have different throw ratios. Throw ratio is the relationship between the projector's distance from the screen and the width of the image. For example, if your projector will be ceiling mounted 10 feet away from your screen, your image will be larger than if your projector is only five feet away. Most video projectors weigh less than 20 pounds and are easy to transport from location to location. That means you can take your 'big screen TV' with you to the homes of friends and family, or host an outdoor movie projected on the garage door without any heavy lifting. However, you will have to set up your projector for each use, and your primary viewing area will not have the polished look of an installation. If you decide that tabletop projection is right for you, consider a projector with less fan noise. Aim for around 30dB or less for 'whisper quiet' fans. You may also want to consider the overall product's exterior design since the projector will be visible. Quick Tip: Projector People recommends that you purchase your projector before purchasing a screen. Install your projector first, start it up, and then decide which screen best fits your needs. This also gives you a chance to make sure the projector meets your expectations. The average film is shot at 24 frames per second, or 24p. This is relatively slow compared to the average TV show, shot in 30p, or 1080i HDTV, a whopping 60p. However, there are times when these speeds aren't fast enough, especially on the large viewing area provided by a projector. To accommodate this, newer home theater projectors use frame creation (AKA frame interpolation) technology. These smart projectors analyze the differences between frames and insert new frames in between. The new frames adjust the image so that fast-moving objects like a racing car or a soccer ball flying across a field appear halfway in between their locations on the original frames. These new frames make the ball or car appear to move more fluidly across a large display. Check out the comparison video below to see how frame interpolation can improve fast moving action scenes. NOTE: the flip side to frame interpolation is that you may experience the 'soap opera' effect during normal scenes. If you're watching a movie and it just seems 'off', try checking to see if frame interpolation is on, or set to high. Projectors vs. Flat Screens: Which is Best For You?